“We have profiled it and it has been in use for a few days. Our production flow has already picked up. We have four times more capacity and we finish jobs more quickly. Our customers will see the effects of this over the upcoming weeks. “We explored everything on the market and we specified this device for its quality and reliability. 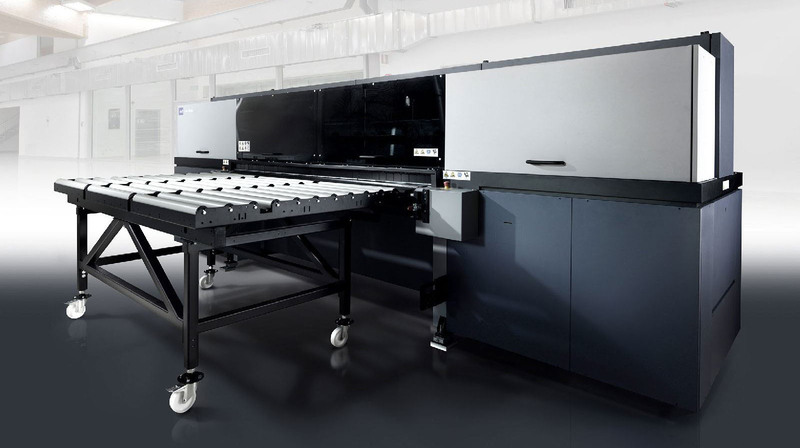 The print output is high quality, and it produces work at a high speed, which means we can be more efficient. It is a premium machine. “With our profiling, we have gotten a higher ISO score so we have a larger gamut we can pick from in printing, which means we can produce better quality work. “The Durst is an additional capacity, it will become our main flatbed. The quality in the work it is producing is great and we are able to with a number of substrates and new stocks that were not available previously. It has a quick turnaround time, it lets us be more efficient, and pass on time savings to our customers. “The printer was paired with a 3.2 metre guillotine, which has enabled us to do a broader range of work. Owners Jamie and Jason Xuereb have expanded their business rapidly, with the pair investing $4m in Mediapoint last year. The brothers extended their print area to accommodate new equipment, having added to their finishing department with a Josting Guillotine, Plast Grommet eyelet presses and a Lesiter Banner welder. The Melbourne based company has been run by the Xuerebs for 12 years. Earlier this year the comany relocated to Derrimut, Victoria, to a facility five times larger than its previous location.